Graduating from medical school, Christopher Duntsch was a sought-after neurosurgeon. So much so that his first employer gave him a $600,000 signing bonus. Yet, within a few years of practice in the North Dallas suburbs, after performing only 37 surgeries, he had become known as Dr. Death. Of his 37 surgeries, he had injured 33 patients, critically maimed four, and killed two. He’s the first doctor sentenced to life in prison for medical malpractice. Investigative reporter Laura Bell and Wondery Media just launched a podcast detailing the enormity of failures that allowed so many patients to be harmed. Here we focus on a quite small piece of the story. Laura Bell, in the accompanying ProPublica article, quotes the head of the Texas Medical Board on why it took so long to end Dr. Death’s surgical career: “to suspend a physician’s license, there has to be a pattern of patient injury.” In other words, no harm, no foul. It belies logic to pursue zero harm while simultaneously suggesting that we wait for a pattern of harm before taking action. The whole idea of high reliability is about designing and fixing systems before harm occurs. It’s about finding potentially unsafe practices before they cause harm. With all we know about system reliability, how did we end up with no harm, no foul as a deliberate management strategy? The phrase “no harm, no foul”, has its origin in streetball, a more-aggressive, less-genteel form of basketball played in the 1950’s. Whatever the foul (even if intentional), if there was no harm, let it go. No harm, no foul. It’s a convenient concept, perhaps encoded in our DNA since our cave-dwelling days. Today, you can choose to see it as either a social construct for grace and forgiveness or, alternatively, see it as an excuse for poor choices. Take my home state of Texas’ view toward texting while driving. In 2016, distracted driving led to 109,658 accidents, 3,087 injuries, and 455 deaths on Texas roads. Experts say that texting while driving makes a car accident 23 times more likely to occur. Statistically, Dr. Death was no match for those who enjoy texting while driving. Yet, freedom-loving Texans were one of the last states to enact legislation to ban texting while driving. Justifying his own veto of the no texting bill in 2015, then Governor, Rick Perry, called it “a government effort to micro-manage the behavior of adults.” In 2017, Texas finally passed the no texting while driving law. Cause serious bodily injury while texting, receive up to a $400 fine and spend up to a year in prison. That’s the criminal law acting as a deterrent. But, the legislature also provided a “no harm, no foul” loophole: if you do not cause harm, the offense of texting while driving will get you a fine of no more than $100. If you’re lucky at texting while driving, it’s a minimal penalty; unlucky and it’s up to a year in prison. 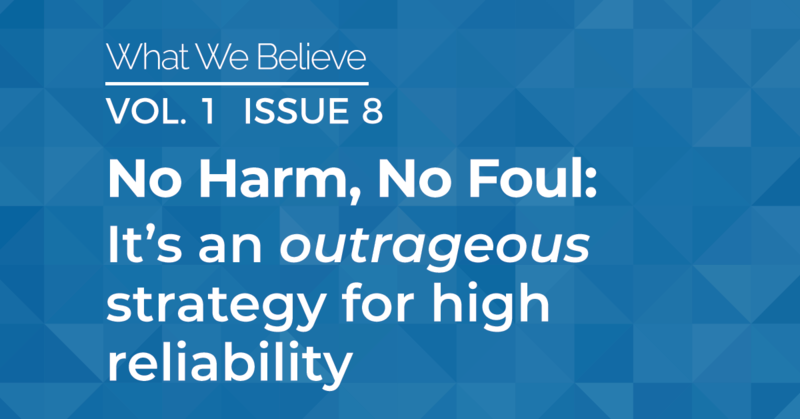 There are two possible explanations for the no harm, no foul strategy. The first is that we collectively view conduct leading to harm as more blameworthy than the same conduct that causes no harm. Researchers Gino, Moore, and Bazerman (UNC, 2008) found that individuals judge behaviors as less ethical, more blameworthy, and punish them more harshly when such behaviors lead to undesirable consequences. Perhaps it’s in our DNA to link sanction to severity of outcome rather than to the quality of one’s choices? The other possible reason for giving a pass to those who do not cause harm is the role of liberty in our lives. After all, liberty is one of our inalienable God-given rights. We all love our freedom, from gun ownership to using our phones whenever we choose. Killing somebody while texting and driving is outrageous and unacceptable, but so long as nobody gets hurt, don’t mess with our God-given right to be a dangerous driver! As Dr. Death’s story illustrates, streetball rules have unfortunately infected much of the corporate world. Organizations investigate deeply when harm has occurred, much less so when luck prevents the same system failures from causing damage. If it’s a risky behavior choice, but nobody gets hurt or the behavior doesn’t cause financial loss, organizational leaders might simply turn a blind eye. Worse yet, they might choose to not even look for risky choices. Across many industries, it is often the severity of the actual harm that drives action – from reporting to investigation, to managerial and staff accountability. For those seeking highly reliable outcomes, we have no choice but to reject the idea of no harm, no foul. We cannot wait for a pattern of harm to address risky systems or behaviors. Nor do we get to joyfully engage in risky choices, then unjustly skewer the unlucky few who have caused significant harm. It does mean that I sometimes have to give up a little liberty (the right to text and drive) and a little happiness (the joy of sending LOL while driving) simply to avoid an unjustifiable risk of harm to others. It’s the price we’ll have to pay for highly reliable outcomes.